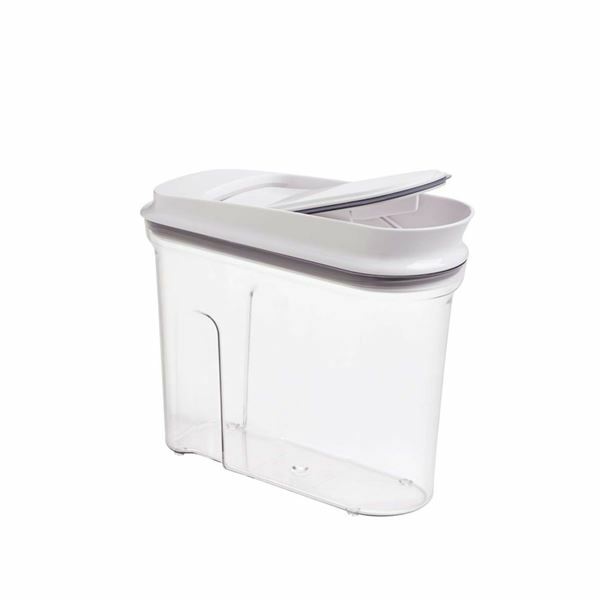 These airtight cereal dispensers are perfect for your breakfast service, and storage in between. The pop up section of the lid opens easily, the hand grip allows for easy holding and pouring, and the smooth spout gives controlled, mess-free dispensing. Silicone gasket is dishwasher safe, hand wash other parts. love these containers, nice & air tight to keep cereals fresh. Strong & sturdy boxes. Be careful don't hold it by the kid my first mistake, cereal all over the dining room. Excellent quality - shows the cereals off well.